Does your child run, play, and move for at least 60 minutes a day? 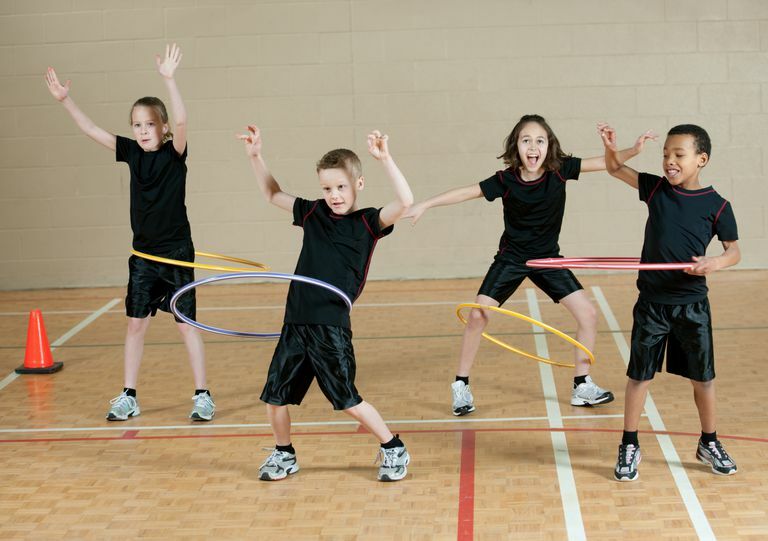 For school-aged kids, physical activities are (and should be) fun, but they're also important. Kids this age need that daily hour of moderate to vigorous activity to stay fit and healthy. The time should be divided among aerobic, muscle-strengthening, and bone-strengthening activities. Short bursts of 10 or 15 minutes count toward this daily tally, so make sure your child has lots of opportunities for physical activities before, during, and after school. Academics are important, but so is finding time for fitness. When kids have the chance to run and play before school and at recess, they focus more and fidget less during class. Brain breaks also help. Physical education (PE) provides another opportunity to move during the school day. It also exposes kids to new sports and games and introduces important health habits. Just five states (Alabama, Florida, Louisiana, New Jersey, and Oregon) plus the District of Columbia require the 150-minute weekly PE total in elementary schools. Only eight U.S. states require elementary schools to provide recess every day. The Society of Health and Physical Educators, among other groups, recommends at least 150 minutes of PE a week for elementary schoolers – that means an average of 30 minutes a day. The association also urges schools to schedule at least one 20-minute recess period every day. If your child's school doesn't meet these goals, ask the principal or school board to consider changes. And look for ways to help your child stay active outside of school hours. By early elementary school—age 6 or 7—most kids have the physical coordination and attention span, plus the ability to grasp rules, which they need to play organized sports. A few years later—between ages 10 and 12—most can handle the added pressure of team competition. You can help your child get enough daily activity via sports and extracurricular activities if these fit your schedule and budget. Look for classes and recreational leagues that stress fitness, skill-building, fair play, and most of all, fun. Ask your child what sports he's interested in, and give him the opportunity to try many different activities. (That means letting him quit if he discovers the activity is not for him.) You both might be surprised at what he's good at and loves to do. SHAPE America - Society of Health and Physical Educators and Voices for Healthy Kids. 2016 Shape of the nation report: Status of physical education in the USA, April 2016.